If you want to get rid of squeezing in a big tourist coach with a brunch of strangers, skip the reluctant "compulsory shopping" at the appointed shops, quickly jumping on and off the tourist spots and you don't remember where you have been, then, it's time for you to find us. 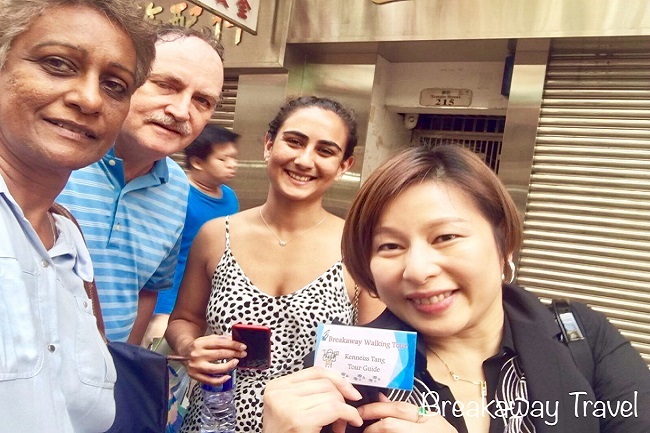 We combined "walking", "foodie", "cultural", "heritage" and "travel on public transportations" on our tours, we hope to lead you on our unique walking tours, explore our city on foot, you can see, feel and eat like a real local of Hong Kong. Hong Kong is considered as the "Culinary Paradise" and food always plays an important role in our culture. Our friendly tour-foodie guide will take you to walk through the busy main street to the alleyway hidden area, will take you for food tastings from the renowned comfort foods to the classic local street snacks. Our friendly guide will regale you with the history of the city and share fun facts with you, learn more of Hong Kong’s food culture and history of development. Consists of a team of dedicated, professional and competent people. We are a member of Hong Kong Travel industry Council and also licensed by the Hong Kong Travel Agents Registry. All our tour guides are licensed tour guides with more than 15 years of relevant guiding experiences. Come and join us on one of our best walking tours.